The gothic architecture of Benjamin Green makes all the stations on the N&B very impressive, and despite originally having over 20 stations, no two station buildings were the same. Chathill today is a sad shadow of its former self. 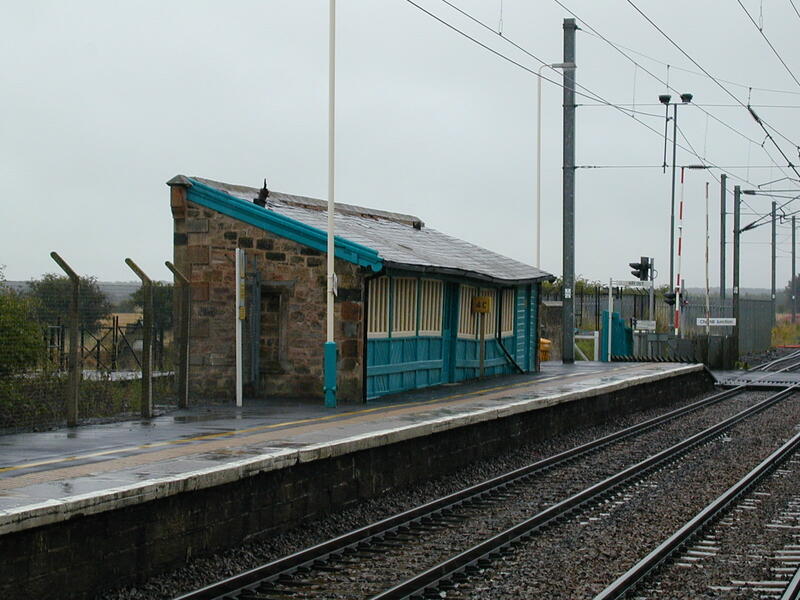 Originally it was a junction station for the North Sunderland Railway, a light railway branch line to the Northumberland coast at Seahouses. Little evidence remains that the up platform once also served the branch, but the waiting room still exists, and is typical of a number thet used to be found on the N&B. 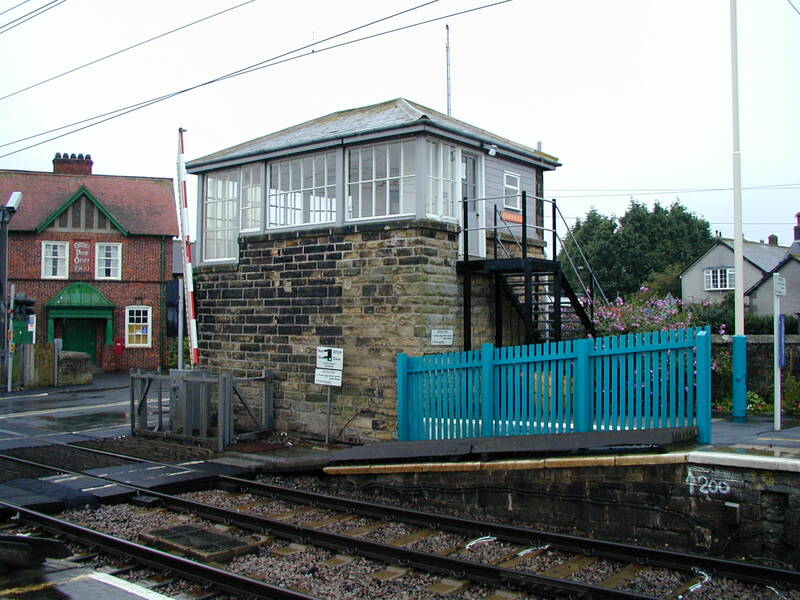 The signal box still stands at the level crossing, though the traditional crossing gates I remember as a child have been replaced by modern lifting barriers. The box itself is was originally a standard early NER design, unusual in the fact it is constructed in stone and not brick, and has clearly been extended at some stage. (If anyone knows when this happened I’d be grateful for the info). The extension to the signal box is much better appreciated from this rear view, the downpipes indicating that the new area has been used to provide toilet facilities. 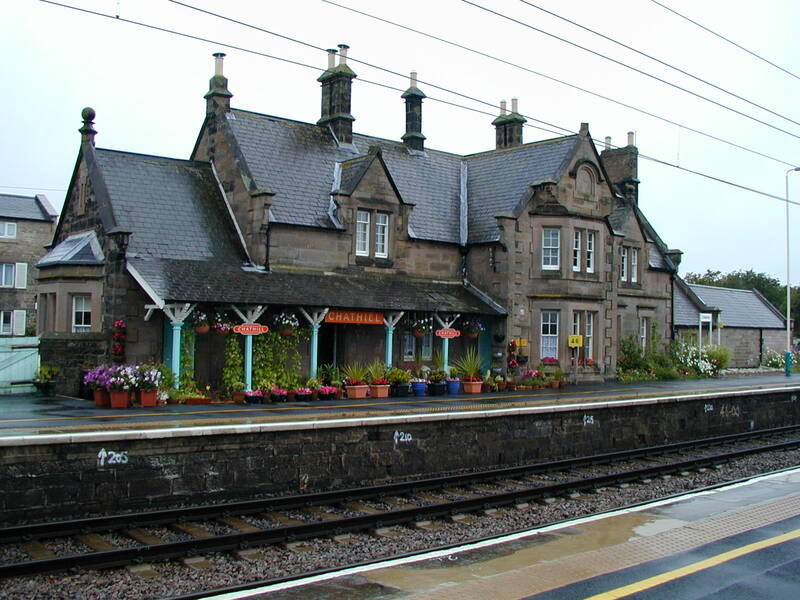 I remember visiting Chathill station in 1978 or 1979 when I first considered modelling the station. 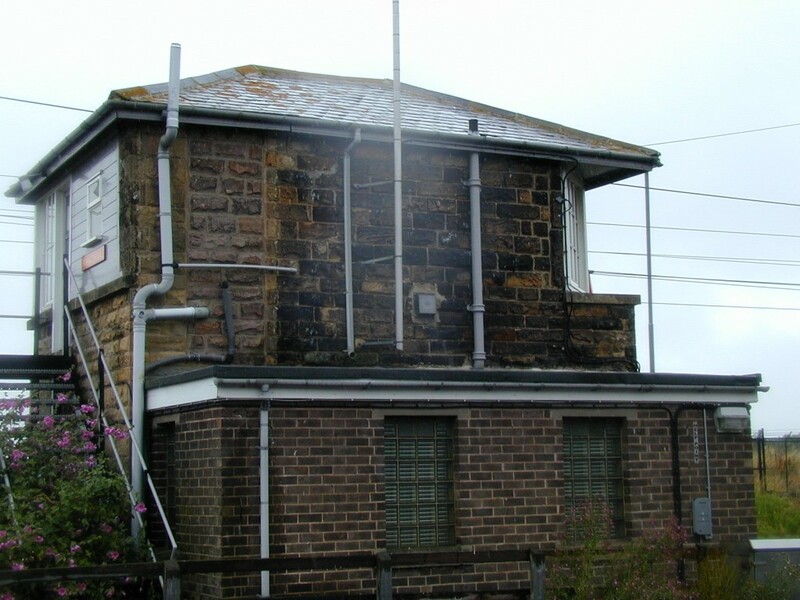 At the time the signal box was being used as a control centre for the parachuting club operating from the nearby airfield. The up platform originally provided the bay platform for the North Sunderland Railway, and beyond it stood a reasonably large goods warehouse. Further freight facilities existed on the south side of the level crossing, though there is little evidence left of these. Hi Kevin, I am modelling Chathill Station in N Gauge. The drawing you posted of the central area is really useful do you have the complete station plan ? If so how can I get a copy of it ? Thank you,much appreciated. Fingers crossed !